It’s not uncommon to hear heartbreaking stories of reverse mortgages that left a spouse in dire straits after the other spouse passed away. How could this happen? Is it something that you need to worry about? If you and your spouse are considering obtaining a reverse mortgage, it’s important to understand the long term effect it could have on either spouse once the other passes away, and feel confident any appropriate protections are in place. When applying for a reverse mortgage the amount of money you can receive is calculated according to the age of the youngest borrower. The older the borrower, the more money is available from the lender. 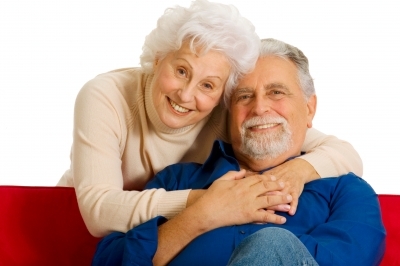 If both homeowners are over the age of 62, both homeowners can be on a reverse mortgage loan. If both spouses are on the loan, the loan continues if either passes away and will continue until both borrowers have passed. Another scenario to consider is if a borrower obtains a reverse mortgage and then remarries. If this was to happen, it wouldn’t be unheard of for the married couple to live in the home for 20 or more years before the borrower passes. At this time the new spouse would not be protected under the existing reverse mortgage loan. If you have reverse mortgage and you remarry, you could consider looking into refinancing the reverse mortgage and adding the new spouse to the loan. And yet one more thing to note is the possibility one spouse needs to move out of the home into an assisted living facility due to health concerns. If this happens, as long as the spouse that remains in the home is on the loan, they can continue under their current reverse mortgage.